We love characters who fail more than they succeed. Peanuts lasted 50 years based on the concept of little kids never reaching their goals, yet still learning about life along the way. The most popular Muppets (excluding those who just destroy everything in sight) are the ones who struggle endlessly. We sympathize with them and root for them because their victories are few and far between. 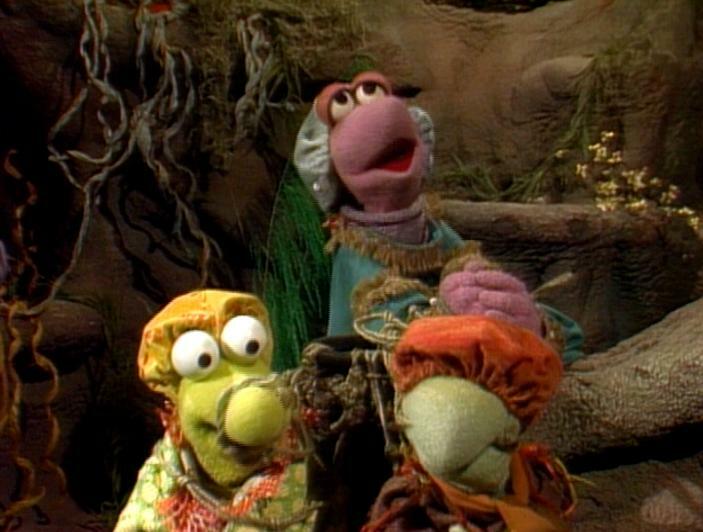 The Fraggles are a group who "dance [their] cares away" and leave their "worries for another day," yet every episode they find themselves in on predicament or another. 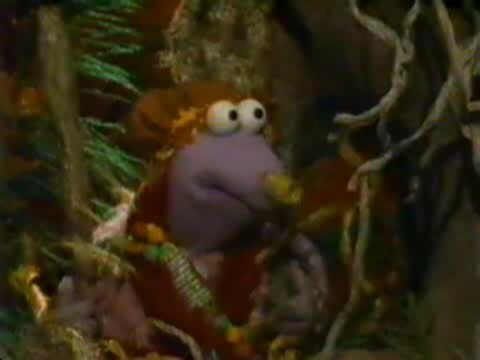 Of the Fraggles who have suffered the most, none can compare to Mokey Fraggle. 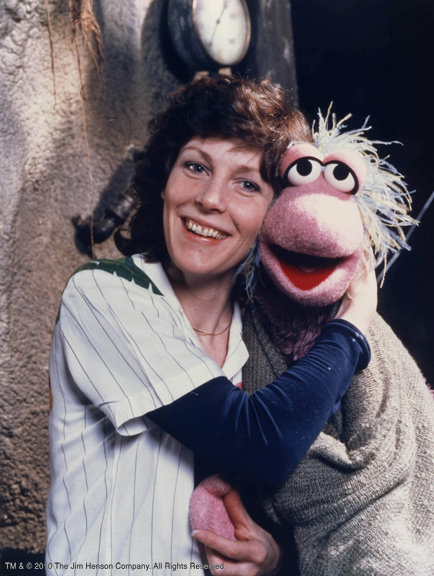 Kathryn Mullen was one of Jim Henson's most trusted puppeteers. She was chosen to play Kira opposite his Jen in The Dark Crystal and she was also one of the two puppeteers operating Yoda in The Empire Strikes Back. When casting Fraggle Rock, Henson knew exactly who he wanted for the role of Mokey, the lovable loser for whom life never seemed to cut a break. Mokey was the artist who just wanted to be accepted and acknowledged by the world. She was awkward and tall for her age, but she exuded positive thoughts wherever she went. She enjoyed caring for others and sharing her art to make the world a better place. Most of all, she wanted to find out who she was and where she belonged. But, as seen by the episodes in which she has a central role, her most common experience was facing rejection. Every season built her up only to knock her down. Season 1: In "New Trash Heap In Town," a misinterpreted message from the wise Trash Heap leads everyone to believe that Mokey is the new oracle who can solve all their problems. Mokey enjoys the added attention she receives, but her advice is often foolish and impractical. 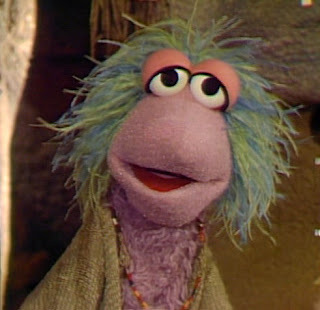 In the end, her good friend Gobo must tell her that she is not cut out to be a source of wisdom in Fraggle Rock. Sorry to crush your dreams, but that's what friends are for. Season 2: In "Mokey and the Minstrels," Cantus and his wandering minstrels make one of their random appearances in the rock, and Mokey is so enamored with their singing and zen way of life that she decides to join them, leaving her home behind. Despite Cantus's esoteric suggestions that she may not be cut out for this way of life, Mokey remains convinced that she has what it takes to be a minstrel. Unfortunately, she fails to heed the first, last, and only rule of being a minstrel: "Listen." Cantus returns a rejected Mokey to her home, telling her that she is not yet ready to be a minstrel with the song "Lose Your Heart (And It's Found)." If only she just listened. Season 3: In "The Secret Society of Poobahs," Mokey learns that a bunch of Fraggles of joined a secret club and she decides that she belongs in the group. Red believes that the society is silly and refuses to entertain Mokey's desires. But, when Mokey gets a secret invitation to join, she tells Red, thus breaking the first rule of the society. The group holds a trial to see if Mokey should stay, and she discovers that the purpose of the society is to just be silly. So, it's a small win as they eventually allow her to join, but it comes with the added knowledge that everyone (including all of her friends who were already members) thought she took herself too seriously. We are letting you join because otherwise you'd be the only Fraggle not in the group. And that's just sad. Season 4: In "A Brush With Jealousy," Mokey's greatest skill is put to the test when a popular new painter comes to town. Everyone enjoys Pedley the Painter's work because they are all so used to Mokey's art that a change of pace is most welcome. Mokey grows jealous of her new competition and she receives a magic paintbrush from the Trash Heap, one that automatically paints beautiful pictures, and never stops. Mokey becomes a slave to the brush until she admits her jealousy and learns to just be happy with her own style. 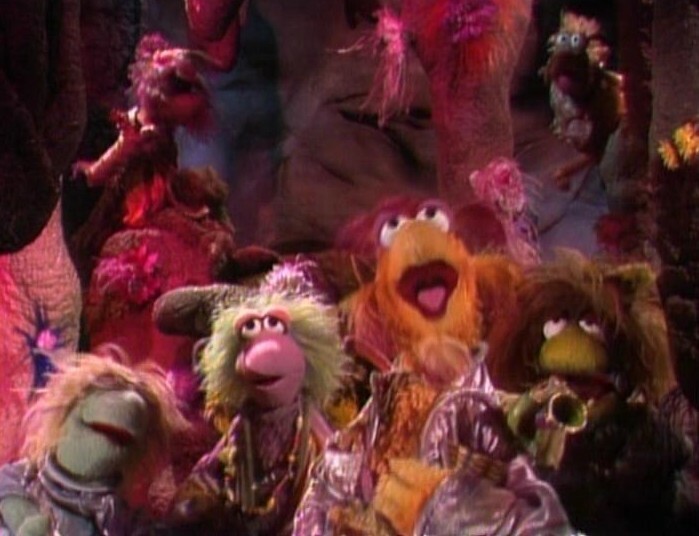 Why did Fraggle Rock become Fraggle Hell? Throughout the entire run of the series, Mokey has learned everything she can't do. She's too foolish to be an oracle. She's too impatient to be a minstrel. She's too serious to be a Poobah. She's a fine painter, but there just happens to be someone better. This onslaught of rejection was probably not intentional, but when viewed together, Mokey's life as a Fraggle has been very rough. 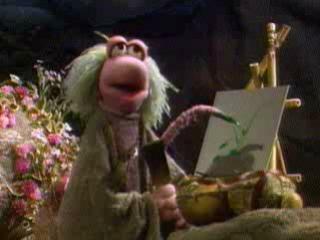 Fraggles are supposed to be silly and creative and she can't even manage to be good at that. How can she call herself a Fraggle? But finally, in Season 5, Mokey found her true purpose in life. In "Mokey, Then and Now," Mokey decides to put on a play about the Great and Wondrous Blundig, with her playing the lead role. According to legend, the Ancient Fraggles awaited the arrival of Blundig, who was prophesied to be the greatest leader the Fraggles would ever have. In an era without play, song, laughter and wild Fraggle hair, Blundig would bring joy to all. 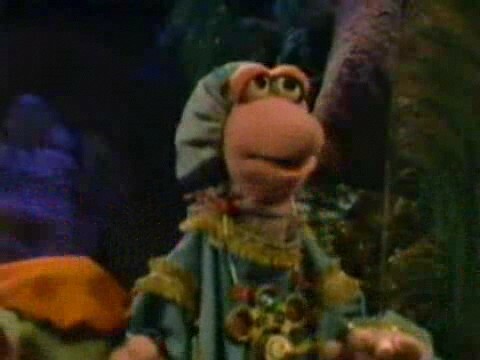 Dressed in the appropriate garb, Mokey brings Boober and Wembley to the ancient drawing of Blundig and they prepare for their play by reciting the original Fraggle voodoo chant in front of it. 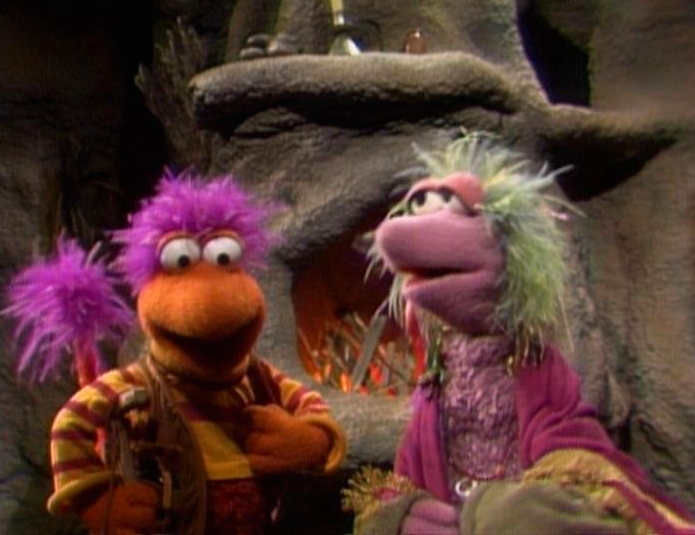 This chant transports the trio back in time to the ancient days they spoke of, and they quickly learn to keep their hats on, for the bald leader of the Fraggles, Fishface, will lock up any Fraggle who has hair on their head. Mokey, dressed the way she is, is mistaken to be Blundig herself and all the ancient Fraggles begin treating her with respect. However, when she fails to perform the miracles from the prophecy, she is thrown into the dungeon (with her crew) for impersonating the legendary hero. Typical Mokey. Seconds of happiness followed by a crushing blow of reality. The trio shares a cell with a Fraggle known as Noodlenose (because he has a noodle on his nose), and he cannot stop laughing. 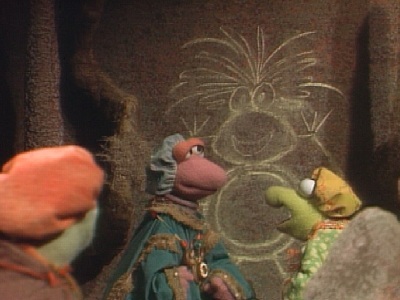 He tells them that Fishface has banished laughter from the kingdom, as well as hair, because Fraggle hair makes everybody laugh. You can always trust Noodlenose. 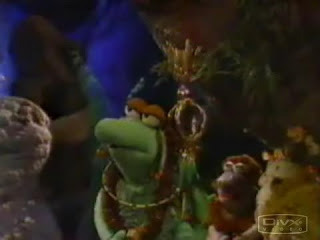 Knowing what she has to do, Mokey uses her hair to get past the Fraggle guards and ends up taking control of the throne when Fishface sees her uncapped. The laughter and songs from the Fraggles allow all of Blundig's miracles to occur, proving that Mokey is the Blundig of prophecy. "Dance your cares away. Worries for another day. 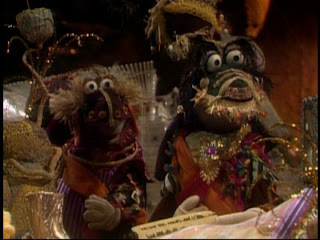 Let the Fraggles Play. Down in Fraggle Rock." 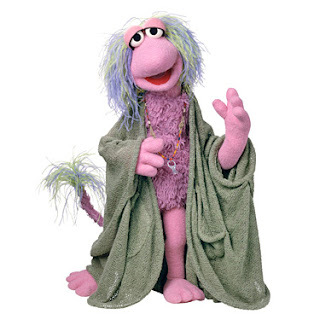 They follow her advice and a new era is born, the era that all Fraggles will grow to know as the Golden Age. She returns to the time cave with her friends, draws her portrait on the cave wall, and returns to the present via the chant, leaving behind a race without oppressive leadership and full of joy. Mokey had finally found her purpose. Through her repeated failures, she learned all of the lessons about what it takes to be a great Fraggle. She was no longer the loser. She was the One. She is my favorite! My father took me to FAO Schwartz and I have had the stuffed animal for over 30 years!!!!! thank you ! !